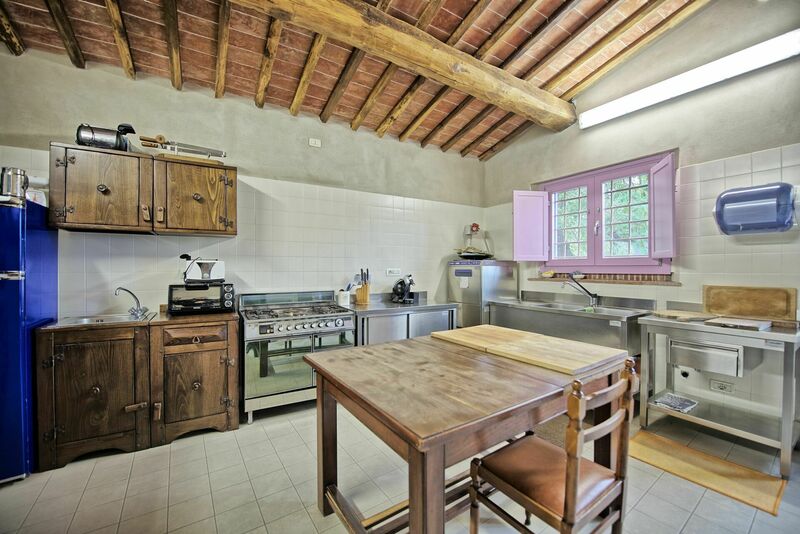 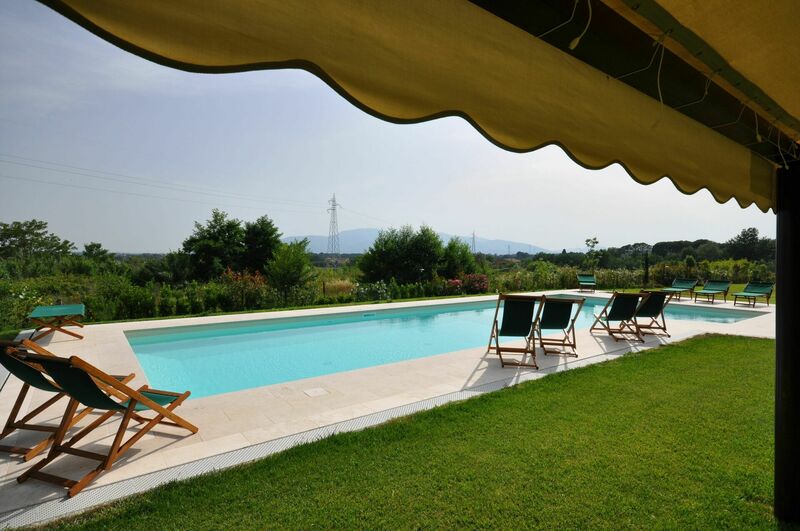 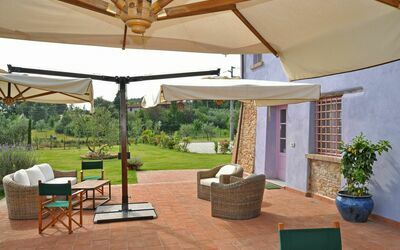 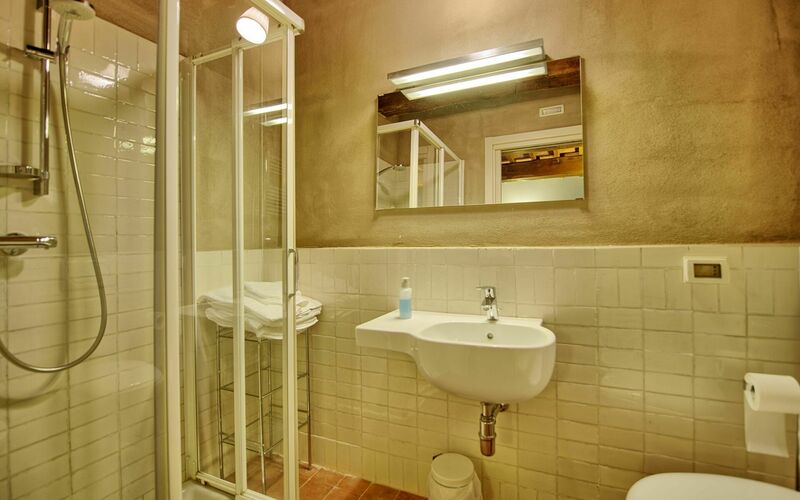 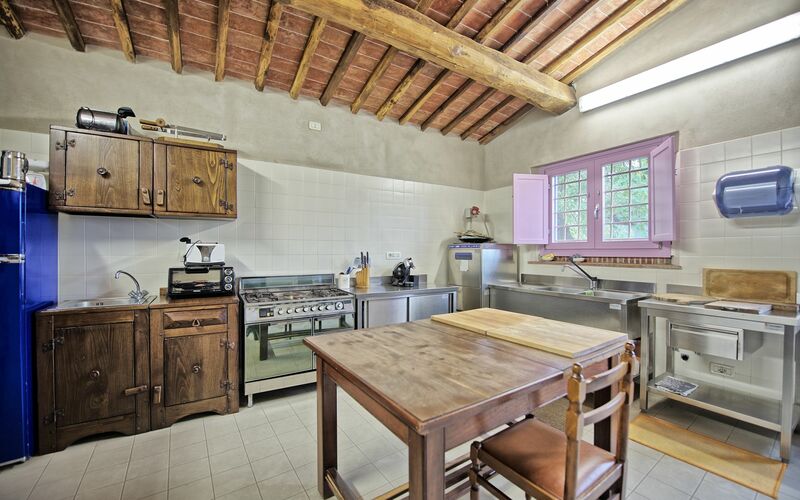 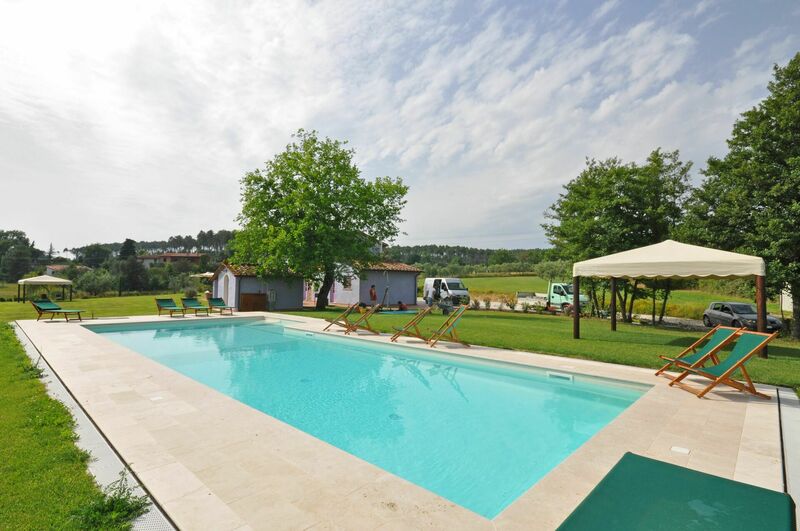 Beautiful independent villa with private pool situated 3 km away from the charming, small, medieval town of Montecarlo, in Lucca surroundings. 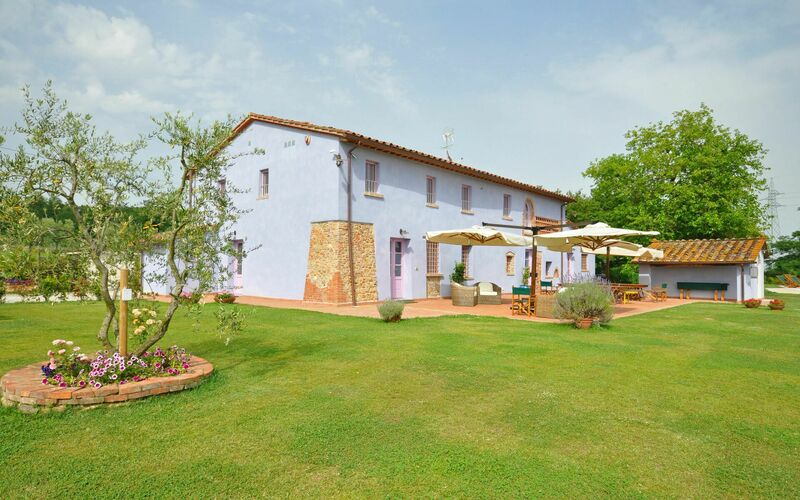 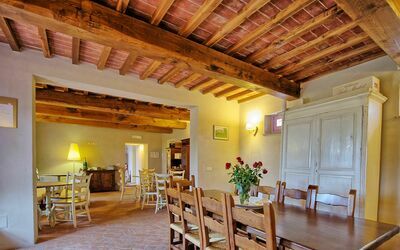 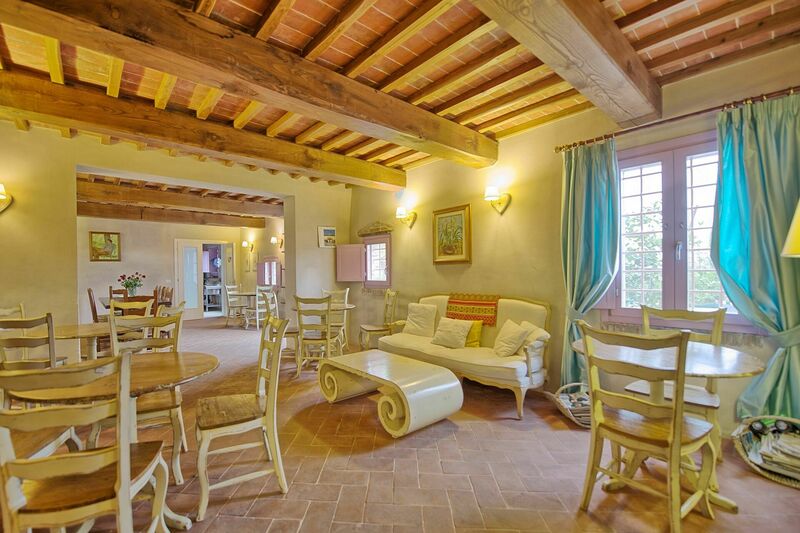 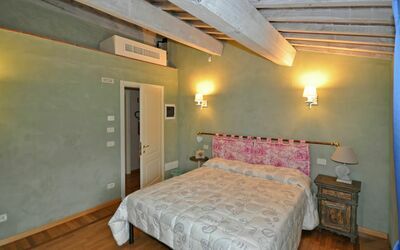 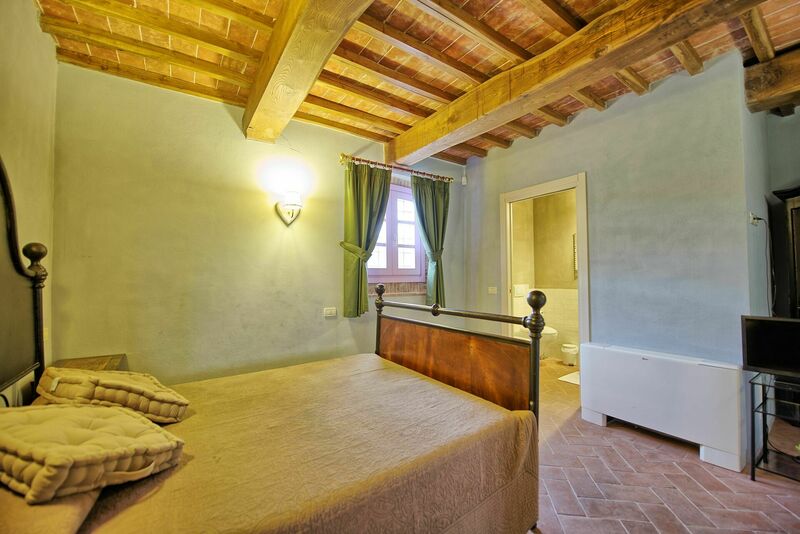 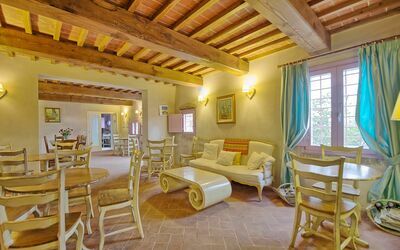 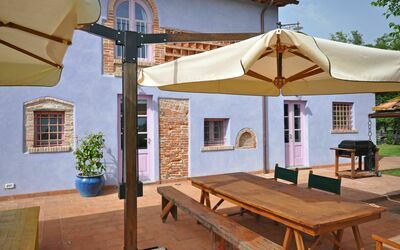 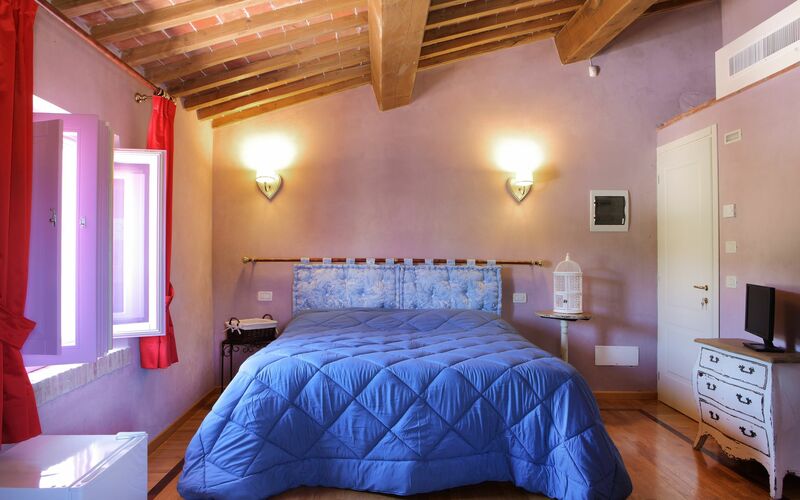 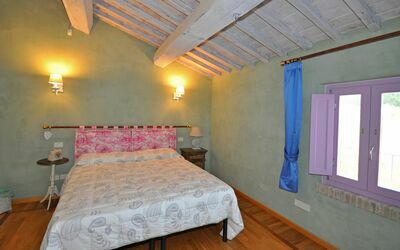 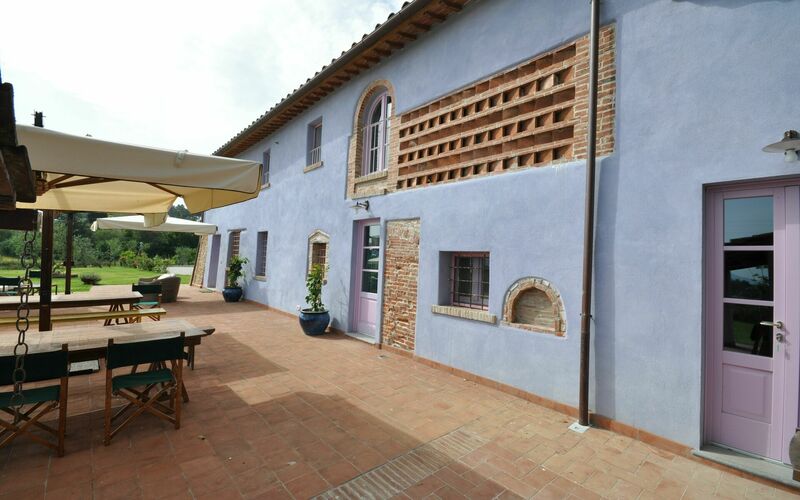 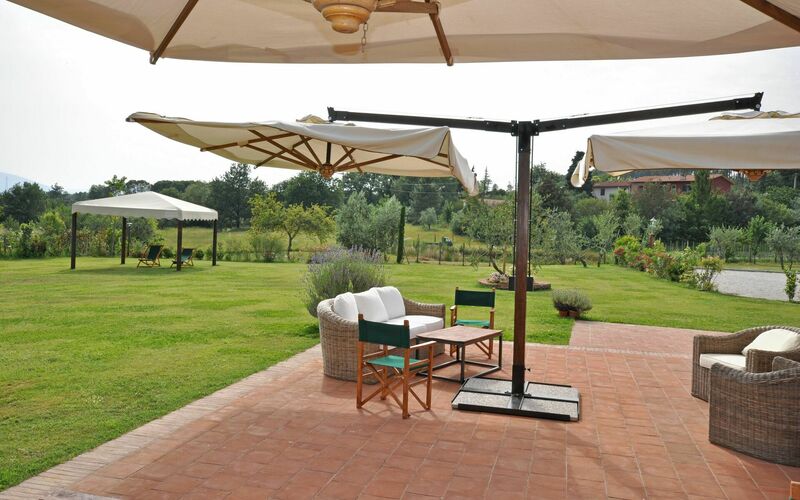 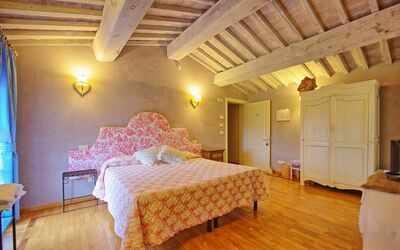 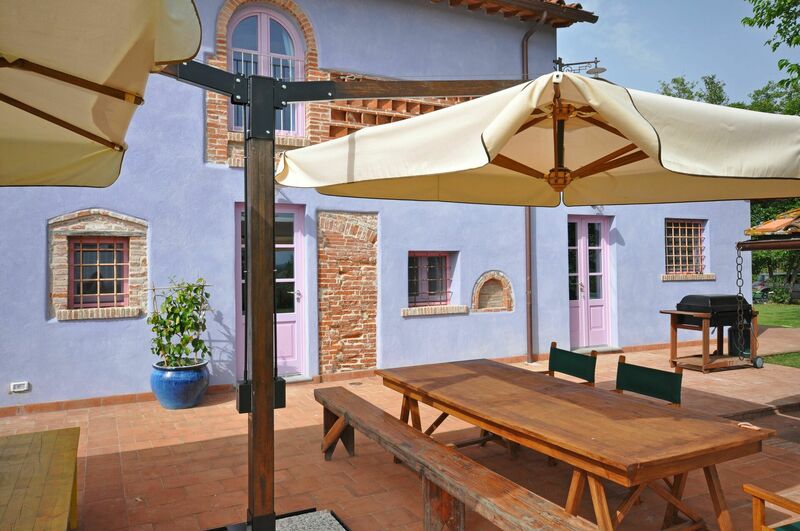 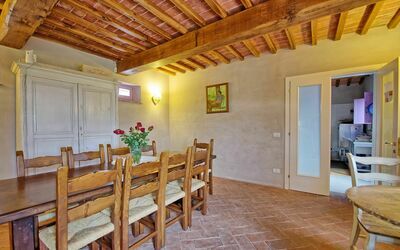 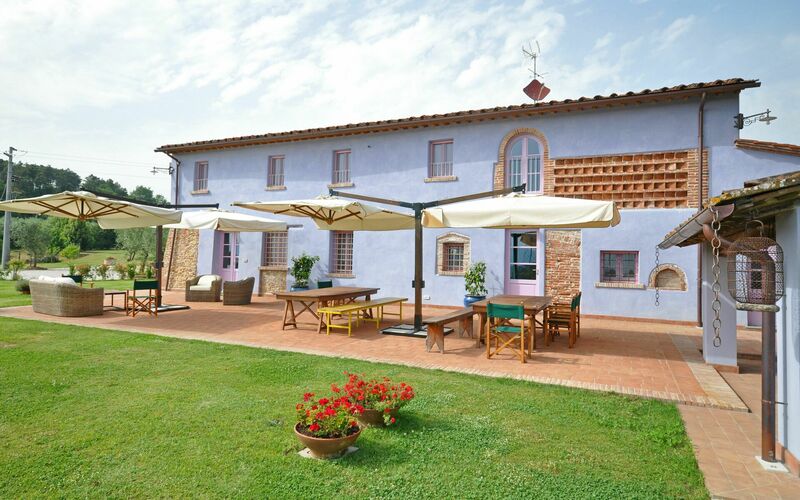 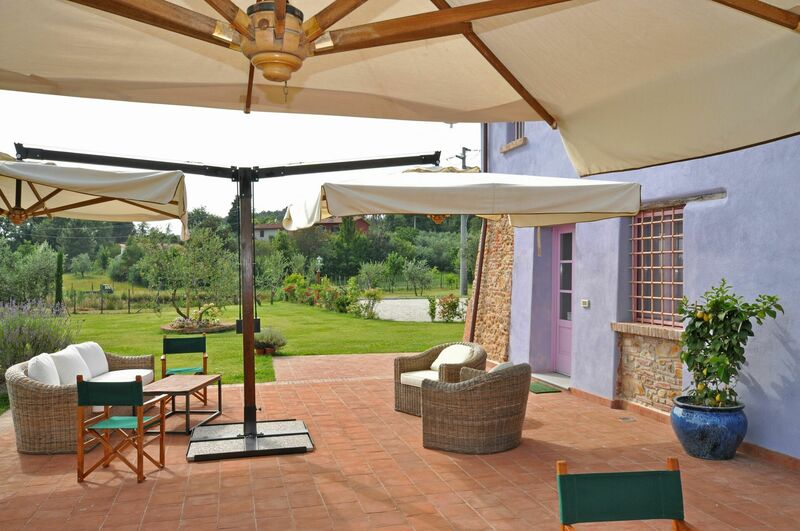 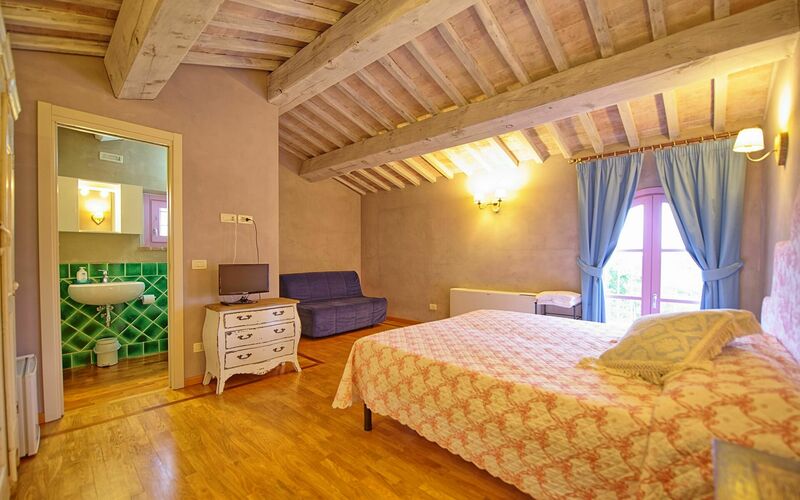 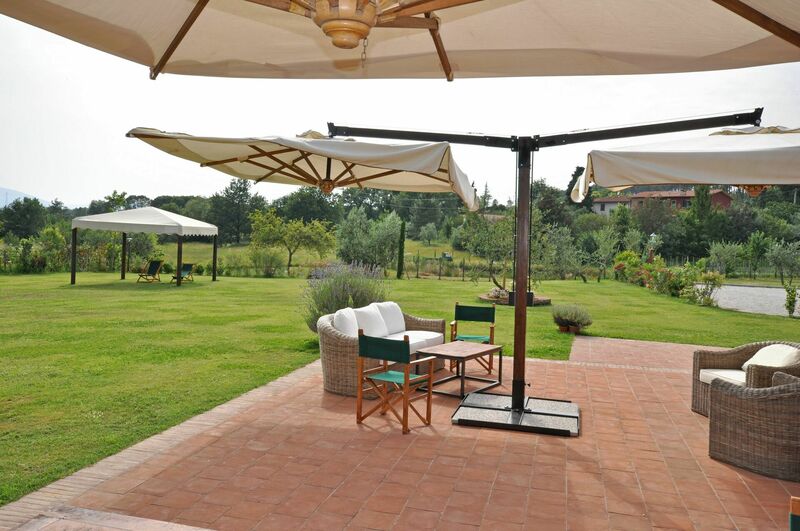 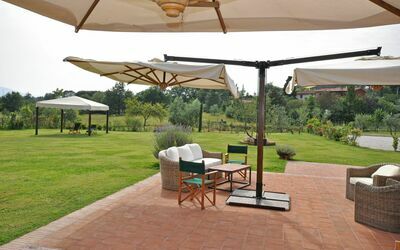 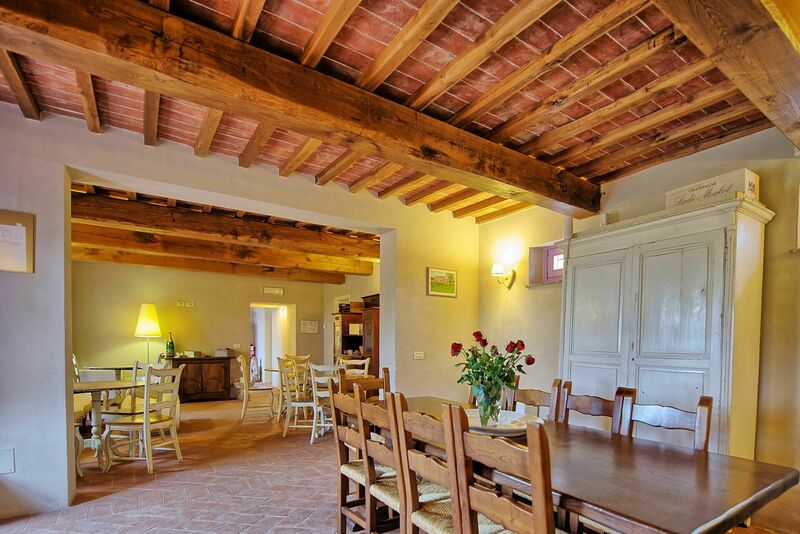 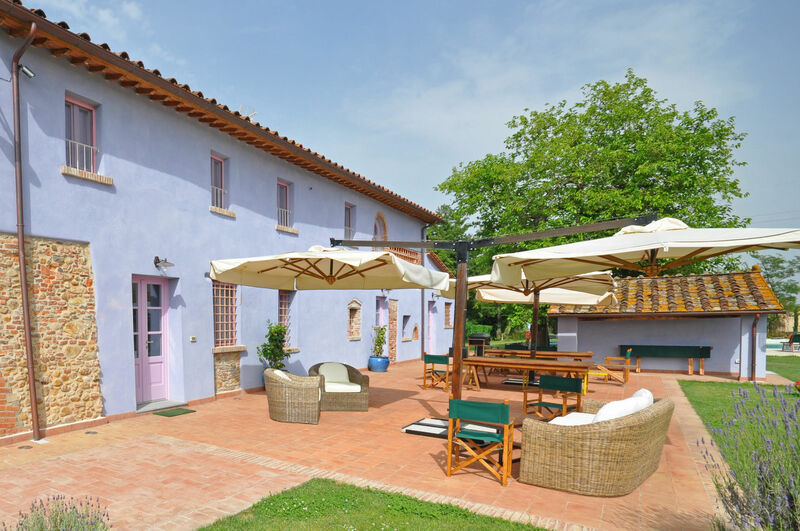 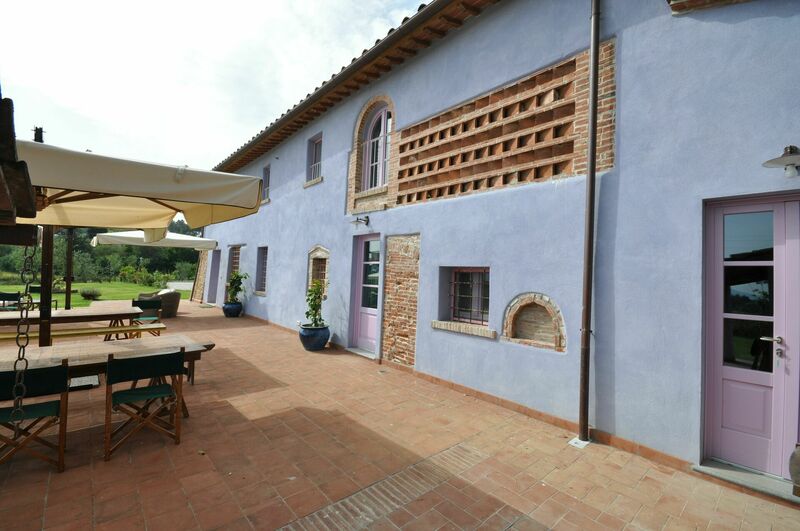 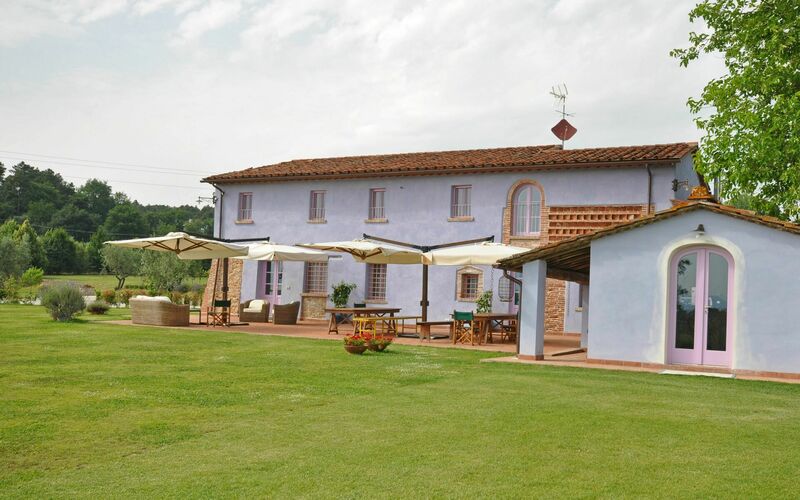 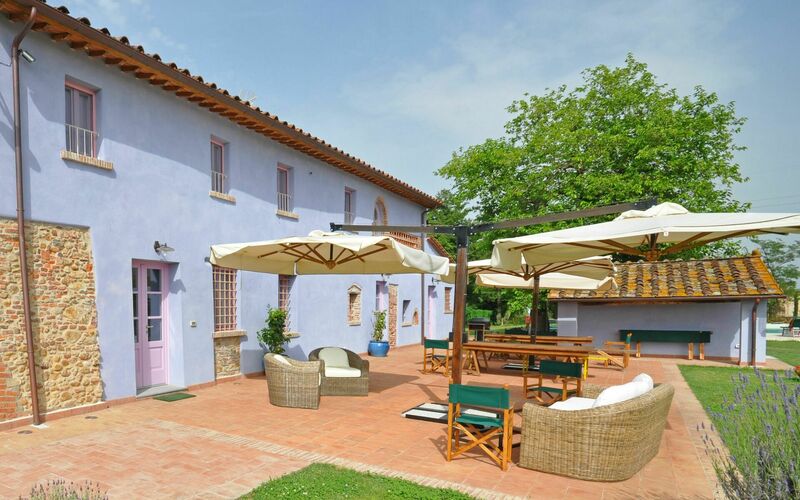 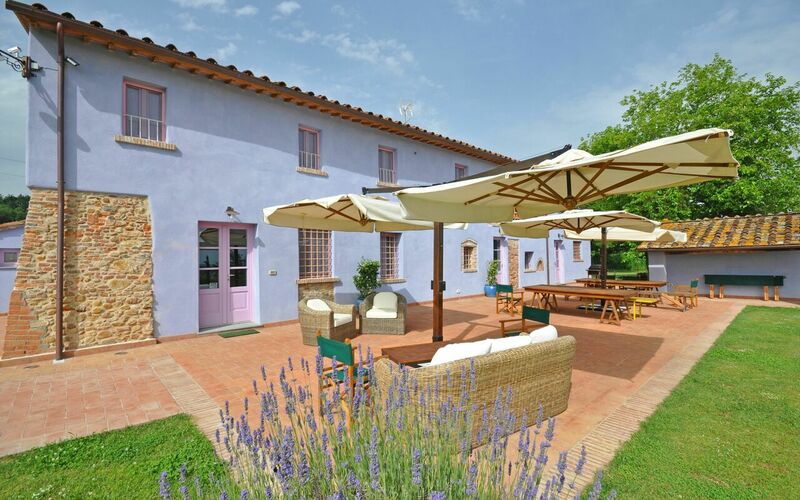 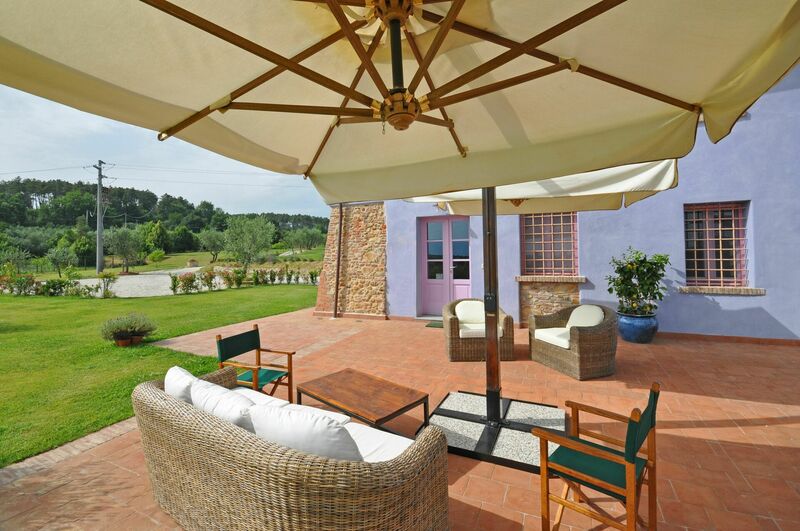 This villa was completely restored in 2010 and turned into a welcoming country house providing all comforts. 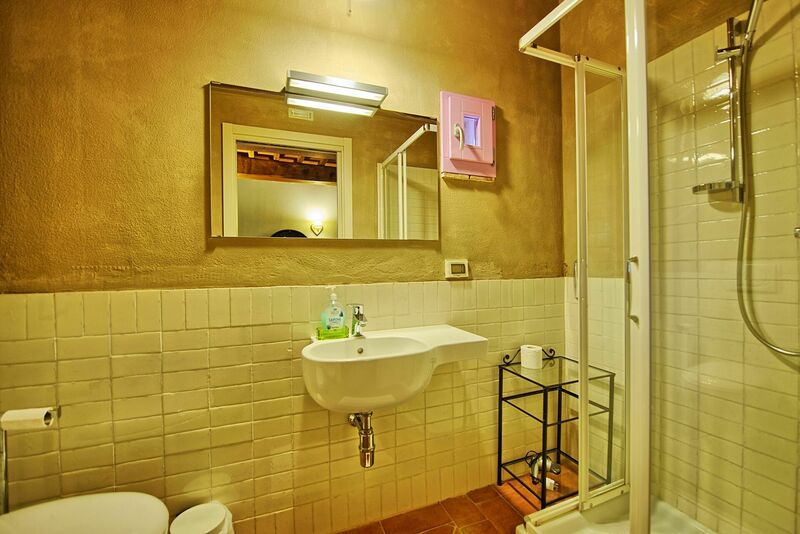 The interiors are nicely and tastefully furnished. 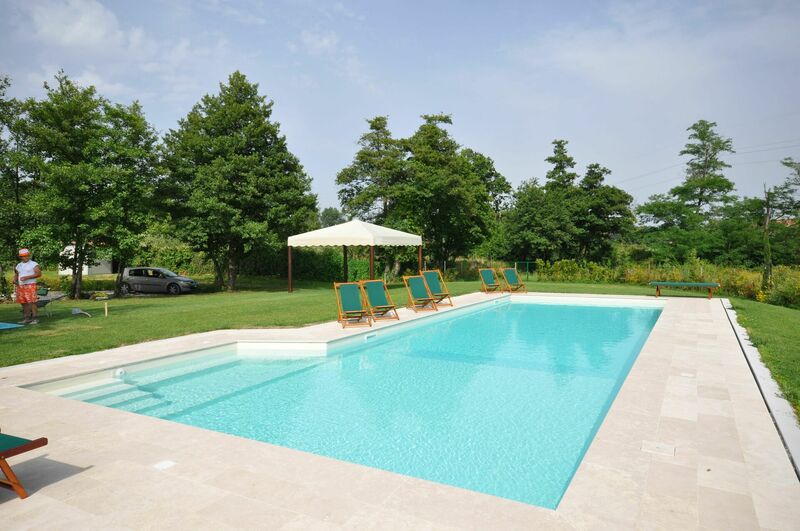 Outside, guests can enjoy use of a large, beautiful furnished garden and of a private pool. 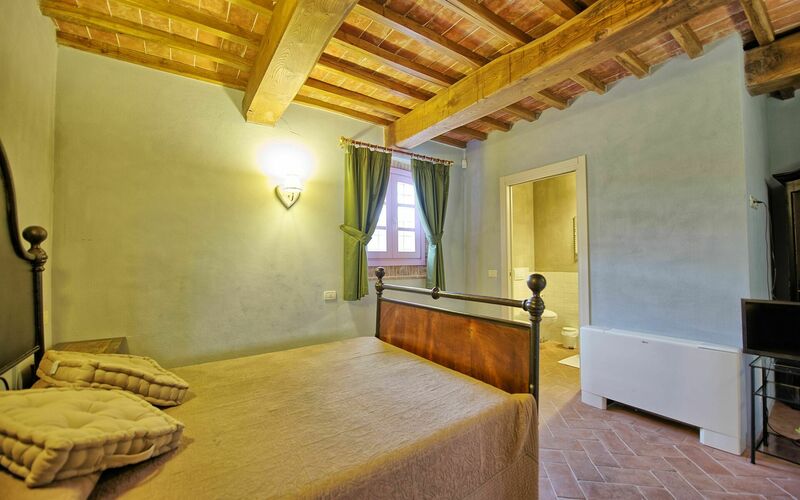 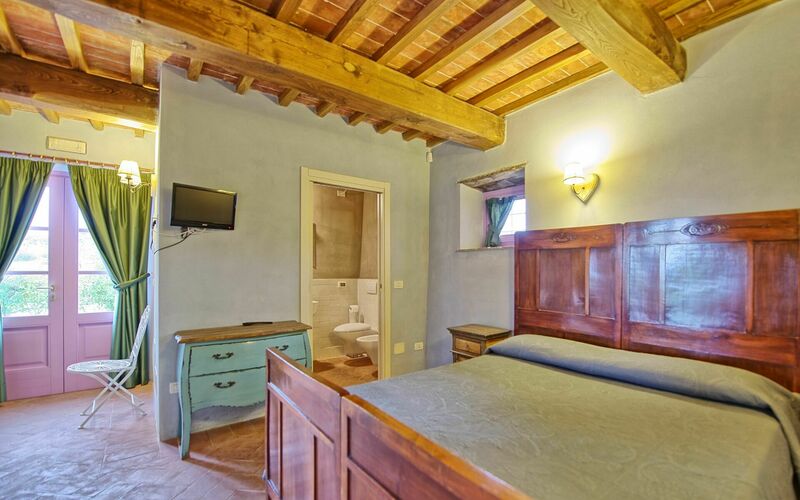 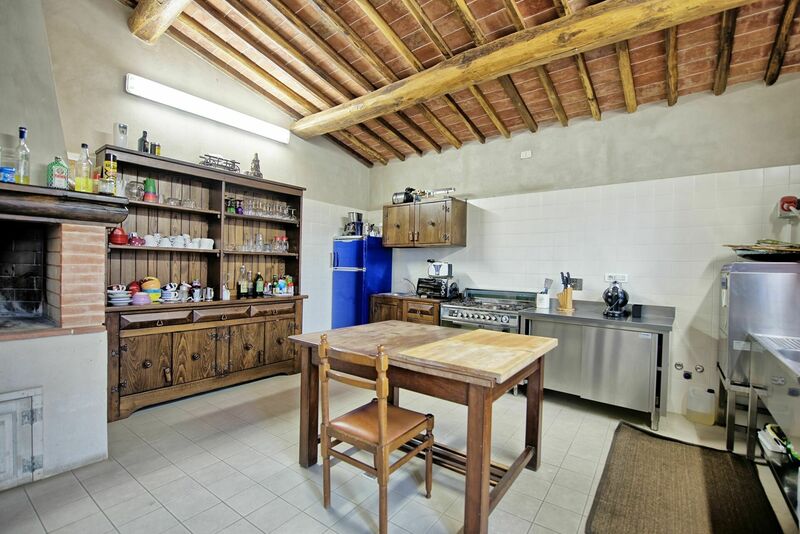 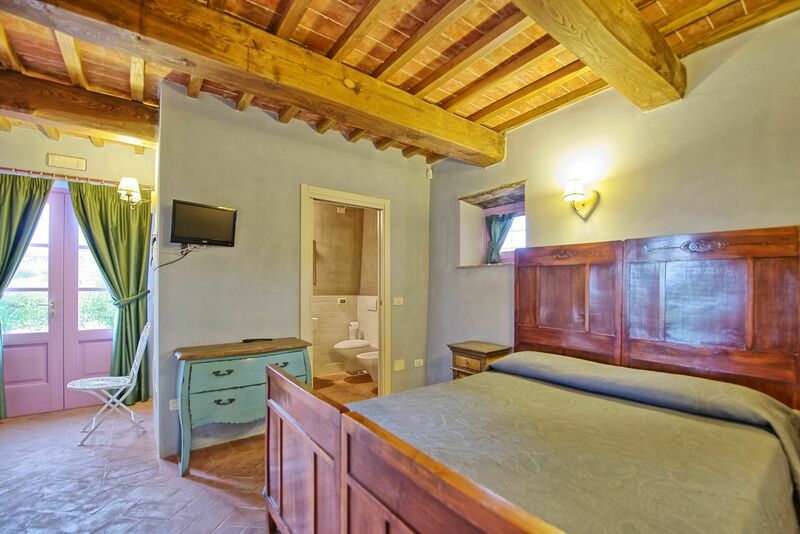 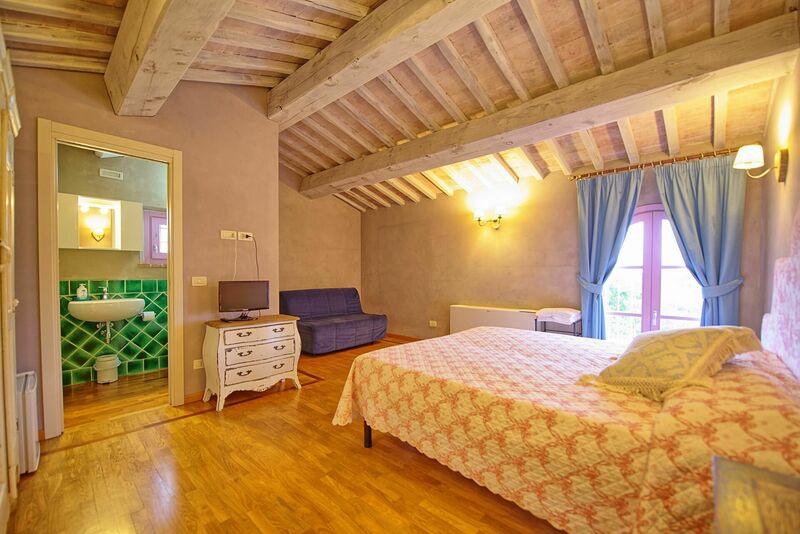 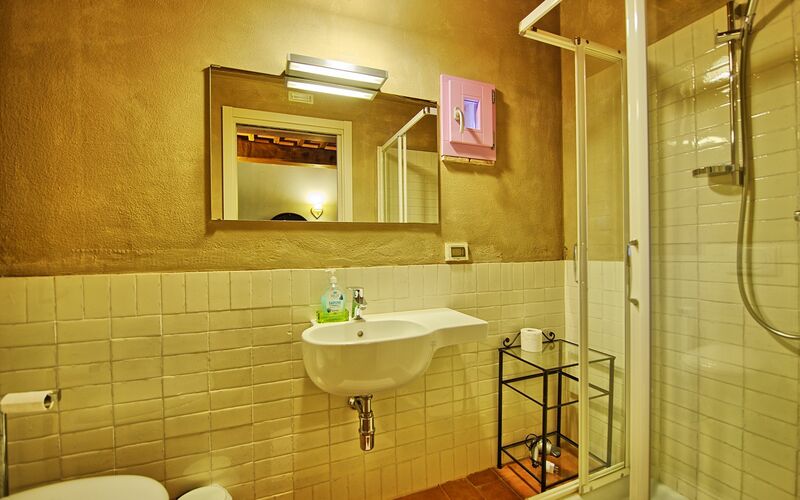 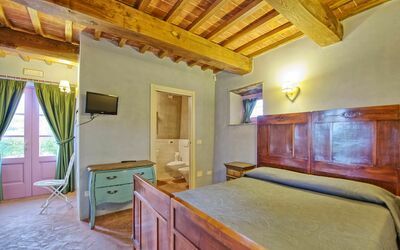 The location allows easy access to most of the art cities of the region such as Lucca, Florence Pisa as well as to the Tuscan coastline (Versilia) with nice beaches, night-life and excellent restaurants. 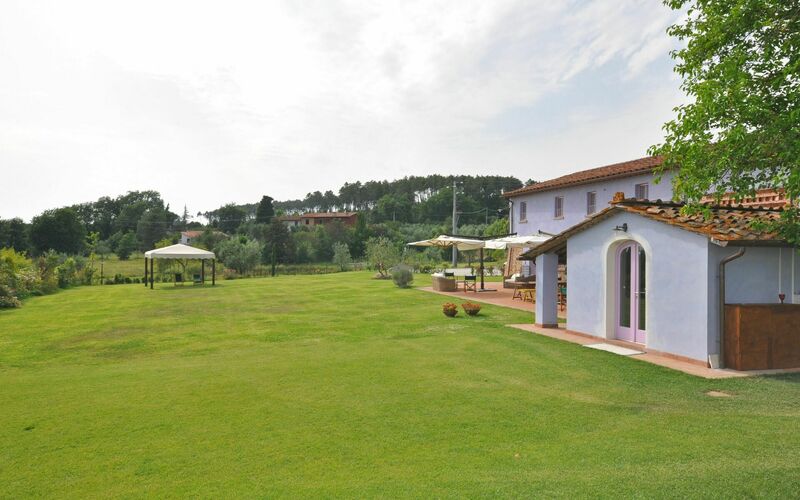 Distances: Montecarlo 3 km away, Altopascio (general stores) 3 km, Collodi (renowned park dedicated to “Pinocchio”) 6 km away, Montecatini Terme 12 km, Lucca 20 km away, Pisa (airport) 40 km, Viareggio and the Versilia coastline (beaches) 52 km, Florence (airport) 65 km away. 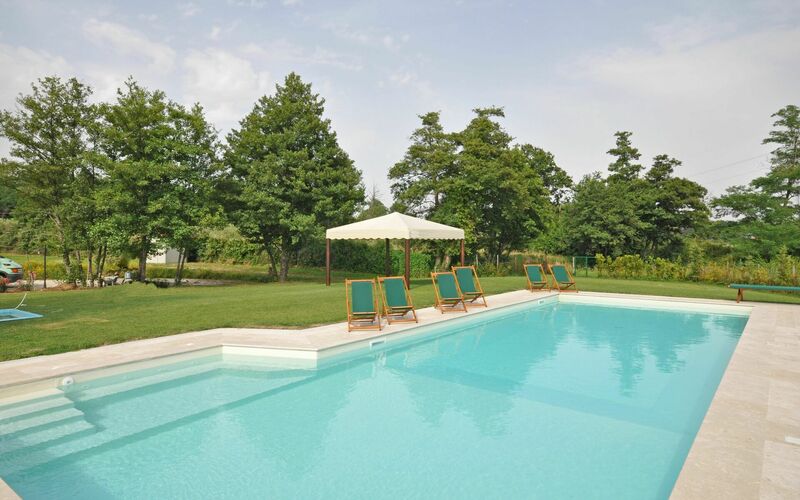 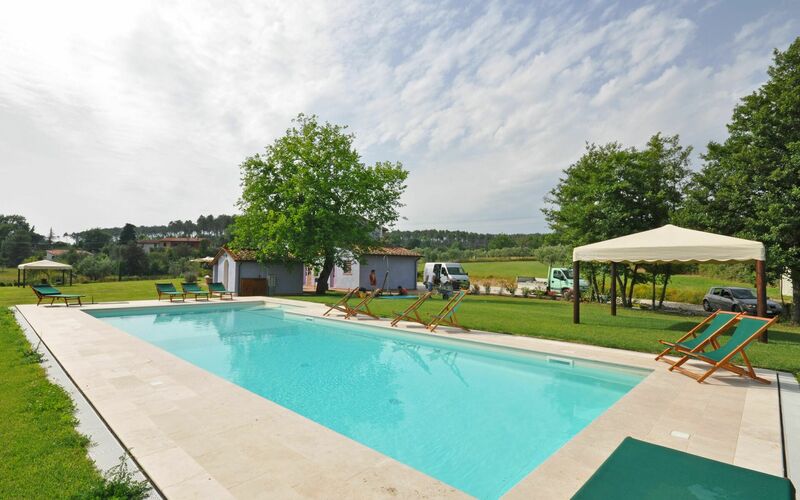 At guests’ disposal: large garden with private swimming-pool (18 x 6 m – min. depth 1,2 m – max. depth 1,5 m – open from 01/04 to 30/10), large furnished area ideal for al-fresco dining, barbecue, table tennis. 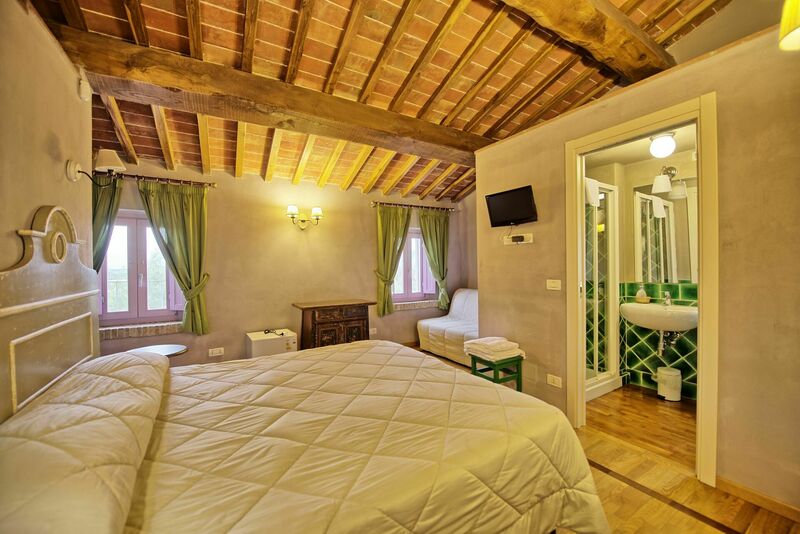 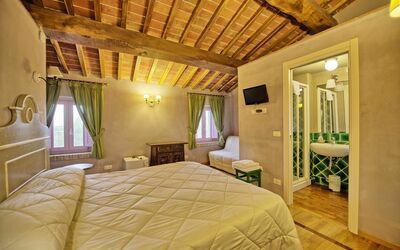 This villa provides wi-fi internet connection (free of charge), satellite TV and air conditioning in all of the bedrooms. Washing-machine available. 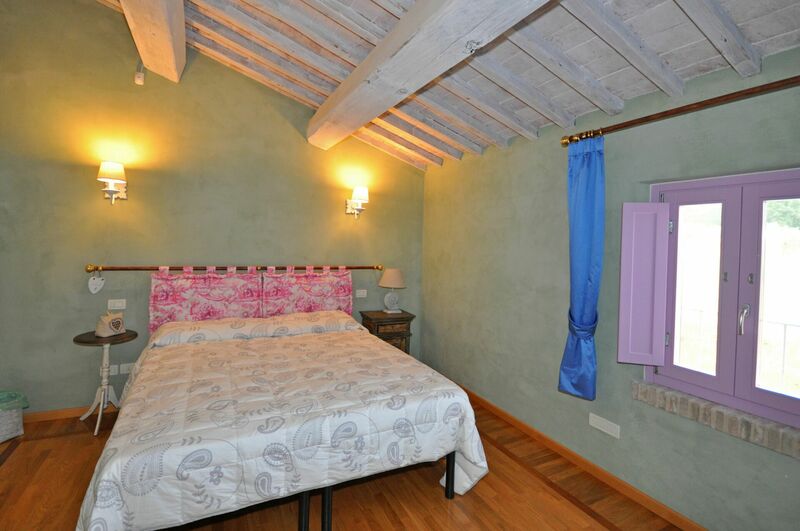 Extra Services: Baby bed upon request (€ 20,- / per week to be paid locally). 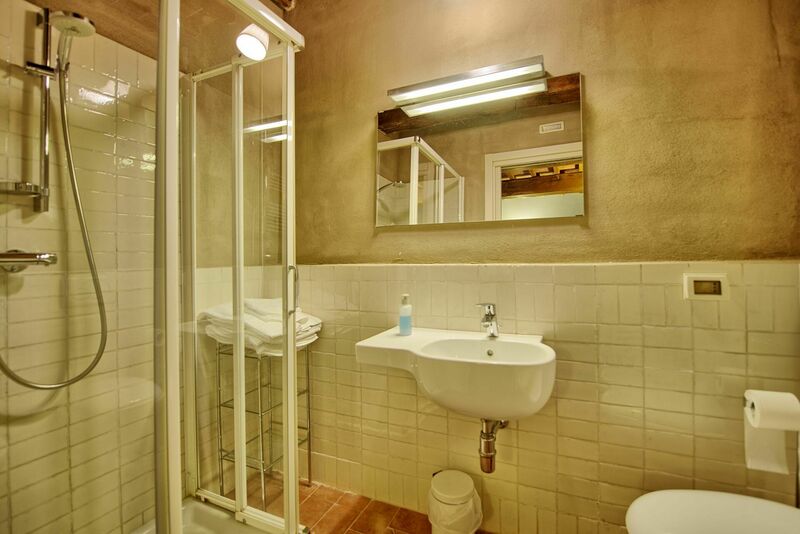 Maid service available by arrangement (€ 15,- / per hour to be paid on the spot). 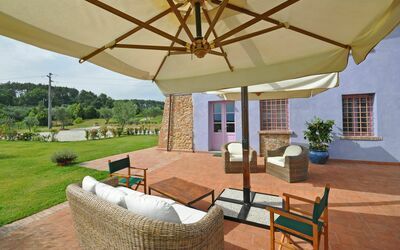 Small pets are allowed by paying an extra charge of € 50,- / per week / per pet (payment on site). 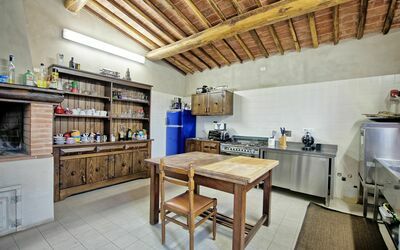 Ground floor: living-room (satellite TV) with dining area, kitchen (barbecue, dishwasher, oven, freezer, microwaves, American coffee maker), 2 double bedrooms with ensuite bathroom with shower, toilet with double sink and washing machine. 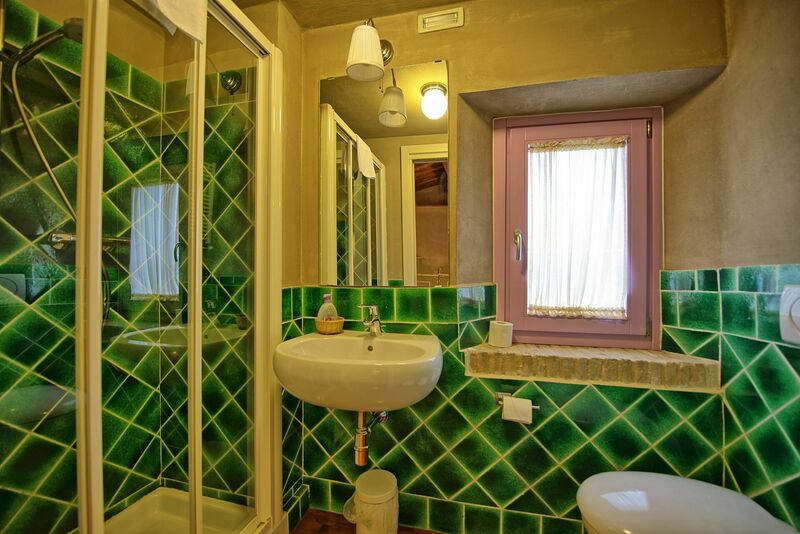 1st floor: 2 double bedrooms with ensuite bathroom with shower, double bedroom with sofa-bed and ensuite bathroom with shower, 2 double bedrooms with “French” sofa-bed and ensuite bathroom with shower.